A new CNBC study says that Washington is America's No. 1 state for doing business. 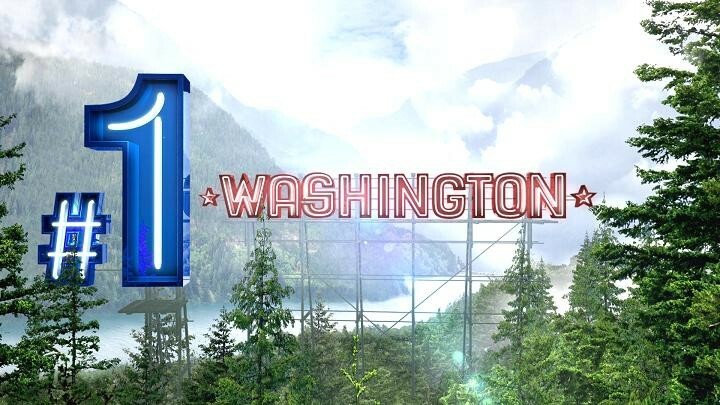 Sure, our roads may be mediocre at best and our employee wages and rent prices are among the highest in the country, but even with these factors included, a CNBC study has ranked Washington the nation’s top state for doing business. The annual study ranks all 50 states in 66 measures of competitiveness across 10 broad categories. A breakdown of how Washington received its rankings can be found here. "Washington has assembled an amazing roster of both household business names and rising stars to position itself as a powerhouse for some time to come,” says CNBC correspondent Scott Cohn in the press release. “But the state faces some substantial challenges. How it meets them will determine whether this is just the start of a long period of business dominance, or if this is the peak." Washington is led by one of the nation’s fastest growing economies, the largest concentrations of STEM (science, technology, engineering and math) workers in the country and a high ranking for quality of living, scoring 1,621 out of 2,500 points and ranking in the top 10 for workforce, economy, technology and innovation, quality of life and access to capital. Washington has been steadily climbing in this annual study, placing in the top 10 in each of the previous four years, and has made considerable improvement from its ranking of 21 in 2013. The study also found that Washington’s economy grew 3.7 percent in 2016 — the largest increase of any state and nearly two and a half times the national rate. Although the state has no individual or corporate income tax, Washington still proved to be an expensive place to do business, because the state’s wages and rent are among the highest in the country. Even with the state’s poor ranking of 37th in cost of living and 32nd in both cost of doing business, and infrastructure — two-thirds of the state’s roads are in mediocre or poor condition according to the U.S. Department of Transportation — its otherwise high rankings indicate that Washington knows business. The study’s highest-weighted category is evaluating the state’s workforce. This ranking is mostly based on the education level of each state’s workforce, and its ability to retain college-educated workers. This metric takes into account the concentration of STEM workers in each state, in which Washington leads the country. With the likes of Boeing, Amazon, Microsoft, Costco, Expedia and a list of other up-and-coming businesses, Washington covers both old and new economies, resulting in a high economy rating. The study shows that Idaho ranked in the top 10 in the categories of business friendliness, cost of living and economy, resulting in an overall ranking of 20th. The study also revealed some poor rankings for the Gem State, which bottomed out as the seventh-worst state in education and posted bottom-15 rankings in technology and innovation and access to capital. Other states that led America’s Top States for Business ranking were Georgia at No. 2, Minnesota at No. 3, Texas at No. 4 and North Carolina at No. 5.